Pooja Urain (38) who resides in a small village of Bedo block in Ranchi district has been living a miserable life for a long time. She was overjoyed when she received a BPL (Below Poverty Line) card after a long wait, because this will serve as a ticket to her dreams to own a house through Indira Awas Yojna. She wanted to break free from the dilapidated condition of leaking roof, make-shift walls and tiny rooms. The dream of a ‘pucca’ house gave her wings to believe that she too can have a good house and therefore Pooja worked extremely hard to put her name forward for the yojna. For two years Pooja and her husband waited patiently for their chance and then one day Pooja reached the Block Development Officer’s office. It was expected that this time her name will be announced but to her dismay they did not call out her name. Confused, sad and disappointed, Pooja was returning home with a heavy heart when she came across a gathering of people where Soochna Seva team was explaining people about the schemes and plans that government has issued for the welfare of the citizens. She went up to them and elaborated her plight, also showed them her BPL card. 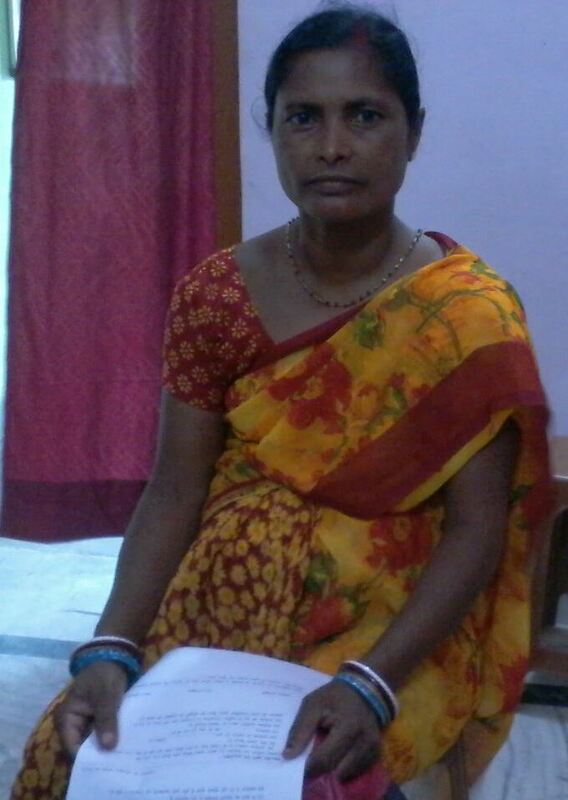 Our Soochna Seva team consoled her and explained that such schemes do take time for further processing. But, the team was not satisfied by own answer so to dive deep into the matter they went to Block Development Office (BDO) with Pooja, the officials notified them that in the BPL card Pooja’s brother in law’s name is mentioned therefore it is rejected at district level. She should have a new BPL card in the name of her husband. SS team counseled Pooja and her husband about the basic details of BPL card and its importance. They waited for next three months and finally applied for new BPL card which is under process. Once Pooja receives the new BPL card, her dreams to own a house will be fulfilled.